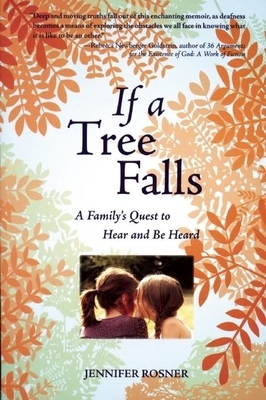 Jennifer Rosner's revelatory memoir explores family, silence, and what it means to be heard. When her daughters are born deaf, Rosner is stunned. Then she discovers a hidden history of deafness in her family, going back generations to the Jewish enclaves of Eastern Europe. Traveling back in time, she imagines her silent relatives, who showed surprising creativity in dealing with a world that preferred to ignore them. Rosner shares her journey into the modern world of deafness, and the controversial decisions she and her husband have made about hearing aids, cochlear implants and sign language. An imaginative odyssey, punctuated by memories of being unheard, Rosner's story of her daughters' deafness is at heart a story of whether she--a mother with perfect hearing--will hear her children. Jennifer Rosner is the author of the children's book, The Mitten String, and the editor of the collection The Messy Self. Her work has appeared in The Massachusetts Review, Wondertime Magazine, and the Hastings Center Report. She holds a PhD in philosophy from Stanford University, and currently lives in Massachusetts with her family.